iPhone is considered as a revolutionary mobile phone. May be it’s too revolutionary that it lacks some very basic features (or Hidden). Some iPhone users (including my bro) complain about the absence of conditional call forwarding feature (which can be found in most basic mobile phones like Nokia,Spice etc). But it is right there only hidden from your eyes. 1. Absolute Call Forward - All voice/data/fax diverted to another no. 2. Call forward if busy – Forward incoming call to another number if you’re on call. 3. Call forward if not answered – Forward the incoming call to another number if it is not answered for a predefined period of time. 4. 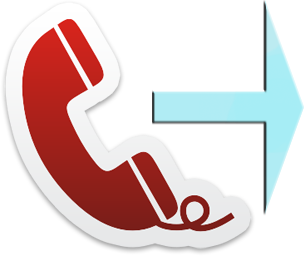 Call forward if not reachable – Forward incoming call to another number if the phone is switch off or without signal. 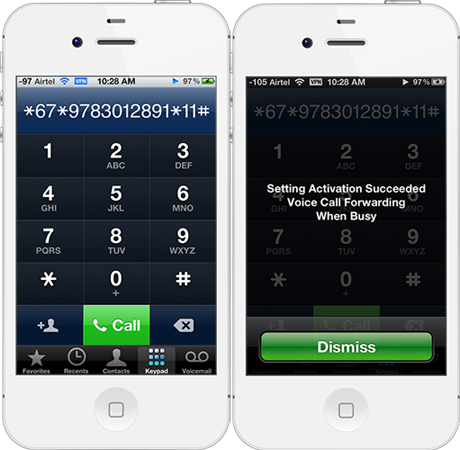 iPhone allows you to setup absolute call forwarding to direct all calls to another phone number. However, it doesn’t provide any interface to setup “Call forward if busy” and other conditional call forwarding. Despite the lack of user interface on iPhone to activate conditional forwarding, you can use the so-called “Conditional Call Forwarding Code” to activate it. Activating Call Forwarding is easy just you need to know the simple conditional call code. 2. Service Code: In case you have a signal problem in your apartment and use google voice account to receive calls through the internet(on the same phone) while the network signal is low. In that case you need to forward only the voice calls and not the data calls. There is three type of service which need/can to be forward select which you want. 3. Seconds: Call ring seconds before forwarding can be defined any. The default seconds is 20. It usable only with unanswered condition. You can change it any time just dialing the code again.